One of the most important things to consider before you get a puppy is how you are going to socialise them and get them used to new experiences without overwhelming their little puppy mind. Here are a few tips for making that crucial journey a success for you and your new best friend. Most dogs aren’t socially mature until they are two to three years old but the critical period for socialising your puppy starts at 3-5 weeks of age and lasts until they are around 7-8 weeks. 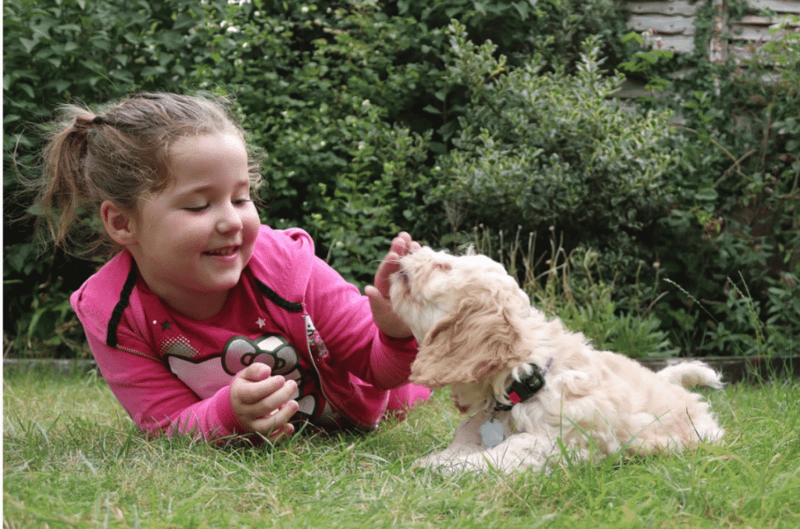 This is one of the many reasons why choosing a reliable and responsible breeder is important, as a large part of the puppy’s socialisation will be up to them. If possible, discuss the plan for the puppies’ first weeks of life with your breeder and refer to the points below for suggestions. If you have rescued the puppy, try to get an idea of the sort of environment that he has been used to, so that you know how he is likely to feel about the things/people/animals that are in your home. Humans don’t all look the same to us, so we can’t expect them to all look the same to dogs! It’s important to introduce your puppy to people of different appearances, including a variety of ages. Meeting visitors can help him get used to being handled by strangers but try to keep the interactions calm and of short duration so that he is not overwhelmed. Equally, it is important to get your puppy used to the times when there won’t be any people around at all. Leaving him alone for very short periods of time and then gradually increasing the duration is far kinder than just disappearing for hours one day without warning! 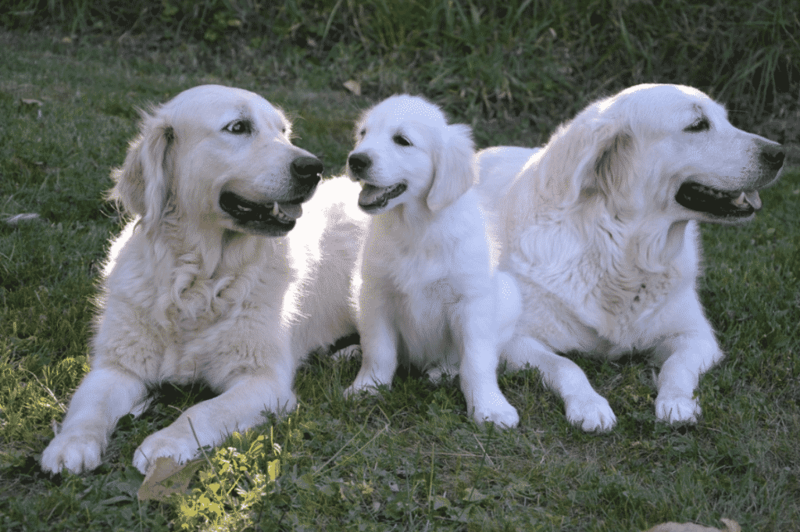 If the puppies’ mother will allow it, the breeder can introduce the litter to other dogs in their household. 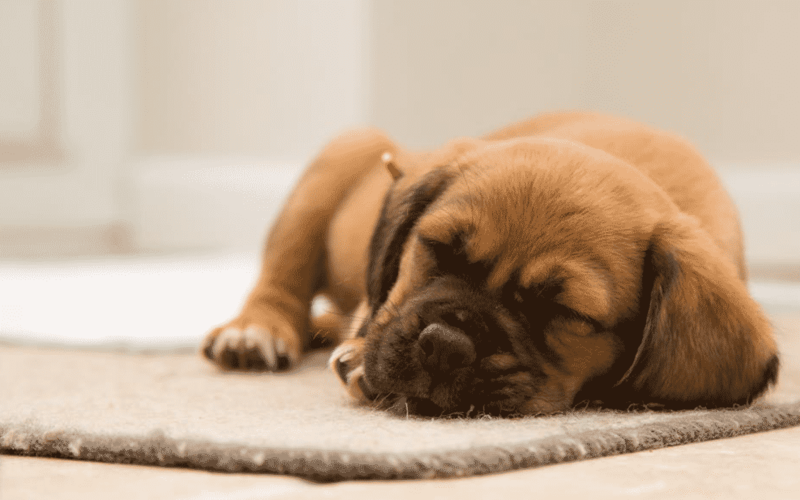 Once your puppy is at home with you, consider having a friend’s vaccinated adult dog who can tolerate puppies (some can’t cope with all of that energy!) over to visit. Again, keep interactions short and sweet where possible. You can use this technique to work up to the stage where your puppy can cope well with meeting unfamiliar dogs on walks outside. Puppy parties can be helpful, as long as the number of puppies is small (four or fewer is ideal) and the interactions between them are watched closely and kept brief. A scary encounter with a more boisterous puppy could make yours more concerned about making new friends, so make sure that you keep an eye on their fun! This is a huge topic; everything is new to a baby! Introduce novel items and surfaces slowly and be aware that puppies may need to get used to the sight of them before they will be happy to approach. Before your puppy is vaccinated and allowed to go for walks, you can still carry him out for short periods of time to introduce him to the concept of the outside world. Just remember that puppies have very small bladders so will not be able to go a long time without having an accident, especially if something overwhelming happens (like a loud noise or an enthusiastic admirer) whilst they are in your arms! By being gradual with everything new, you can avoid overwhelming your puppy or making him fearful of specific things. It is important that a puppy is not experiencing any negative emotions, such as anxiety or fear, when he meets new people, dogs or situations, otherwise he may associate these feelings with whatever was happening at the time. You can help your puppy to form positive associations by using treats and verbal encouragement. Socialisation checklists, such this RSPCA Queensland one, are a good way to organise your priorities for socialising your puppy so that you don’t miss anything that may become important later. Just be careful not to overload him – remember that he will only be awake for around 4 hours a day! Finally, consider taking your puppy to the vet for an introductory visit involving lots of positive reinforcement with treats and fuss. This will help to reduce the chances of him developing a negative association with the vet and so will make any vaccinations or treatment in the future a less stressful experience for you both.